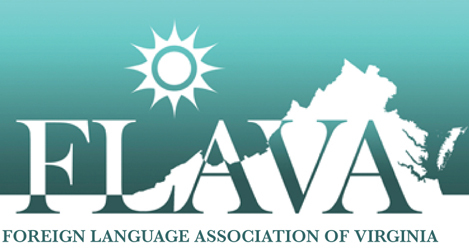 There are not enough words to thank each of you for your attendance at the 2018 Fall FLAVA Conference. I hope that each of you walked away with a few ideas to implement in your classroom and that you enjoyed your time networking and learning from each other. Our presenters did an incredible job sharing their expertise, and our exhibitors added so much to the conference. Thanks to those of you who have already filled out the evaluation for the conference as we do consider your suggestions and comments in the planning of the next conference. Here is the link in case you have not already done so, https://goo.gl/forms/RXGS3isKnpkzH2qD3. It has been our policy to include the link to upload presentations after the conference. This enables our presenters to add last minute information for our attendees. So, here is the link for this year’s presentations as well as previous presentations in case you as presenters have something to share, https://docs.google.com/forms/d/e/1FAIpQLSeiPyIRexmOuQzFPmU94BQl7vnV53Jy51-JzheQ7v1OwX_Npw/viewform. Please contact Heidi Trude at htrude@wcps.k12.va.us if you have any questions or need assistance with uploading your documents. While at the conference, FLAVA was notified that two of its members in attendance have been honored by the French Republic. Both Jennifer Carson (World Languages supervisor for Virginia Beach City Public Schools) and Katy Wheelock (French teacher at Wakefield High School) have received the Ordre des Palmes académiques (Order of Academic Palms), which is bestowed by the French Republic “to distinguished academics and figures in the world of culture and education.” Congratulations to these two for this superb accomplishment! Our fall conference for next year will continue at the DoubleTree on October 3rd-5th per our present contract. We will be sending out a short membership survey in the near future to learn about membership preferences 2020 and 2021. Thanks again to each of you for supporting our fall conference.